When vacationing at our top rated Maine B&B it is impossible to not be struck by the beauty of the area. A romantic fall vacation is something that should be on everyone’s bucket list. 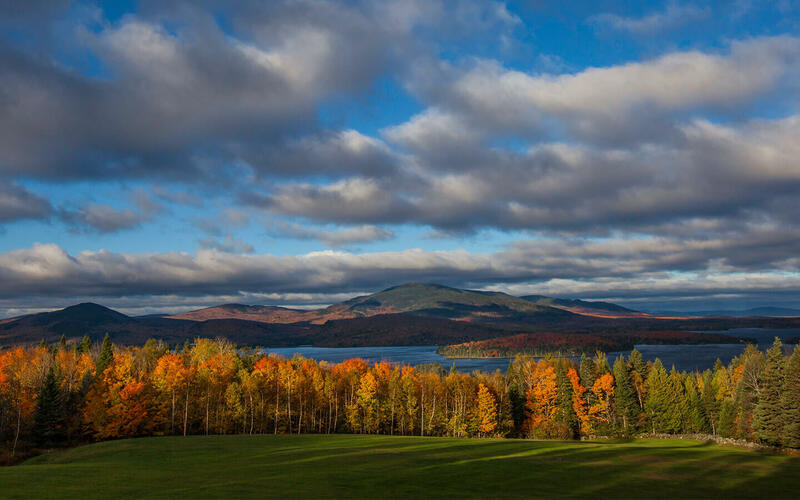 View our exceptional romantic Maine vacation ideas for a perfect, adventurous and memorable fall getaway. Many of our offerings are custom designed for Lodge guests only . . . never is this service outsourced. There is simply nothing like Maine in the fall. View moose in their natural habitat and learn secrets of the North woods. Considered by many to be the best area to view Moose in the world, our guests will enjoy a private canoe journey to a remote mountain pond where our Registered Maine Guide has found secret Moose hangouts. 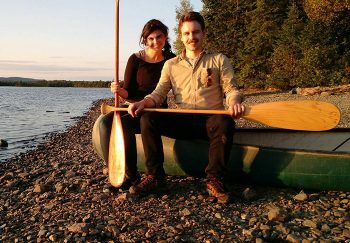 When you leave our Greenville Maine bed and breakfast, you’ll drive about 30 minutes into the back country where canoes are waiting. Just imagine paddling on a pristine pond, sighting a large rock and then with a loud swish a massive head springs from the water and looks directly at you…it’s a thrill you’ll never forget. What attracts moose to bodies of water is the aquatic vegetation that they feed on. Along the way you might see deer, loons, osprey, possibly a bald eagle, beaver, snowshoe hare, gray squirrel and even otters. Afternoon trips include a delicious outdoor picnic snack with lodge made breads, assorted cheese and fresh fruit. Add beer or wine at an additional charge. Book when you make your room reservation or call the Lodge.If canoeing is not your thing, the trip can be customized (vehicle tour) based on your athletic ability. In the fall and as the weather gets colder, moose are no longer in the water. Available only to Lodge guests and only Lodge designed tours. Experience a full day excursion with dinner and book the Call of the WILDlife package. Morning trips can include a hot breakfast prepared campfire style by your guide for an additional charge and an additional hour. The visual impact of Moosehead Lake embedded in the North woods is grand indeed. But if you want to experience and truly appreciate the ecology of this unique area, you must explore the many remote tributaries that feed into one of the largest naturally formed lakes in the US. How?…..with your own personal pontoon boat. Your private guide will help you explore areas few people will have the opportunity to visit. In these remote areas, you will discover the “secrets” of the North woods – aided by the trained eyes of your personal guide who can spot them like no one else. 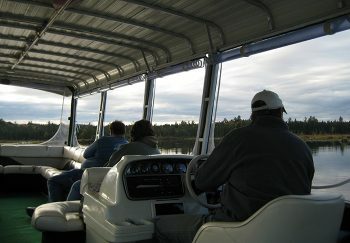 Your personal pontoon boat allows you to explore areas unreachable by large boats but without hours of arduous hiking. Four-hour (AM or PM) or eight-hour (full day) trips are available with pick up and drop off at the front door of the Lodge. 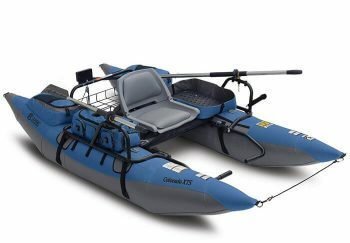 All equipment is provided, including waders, if necessary. These unique outings are available only with advance reservations from June through Mid-October. 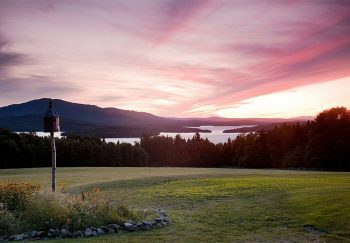 Plan a romantic evening in the quiet and on the remote ponds of Moosehead Lake. The only sounds heard will be wildlife and the rippling of water as your oars effortlessly glide through the black night water. 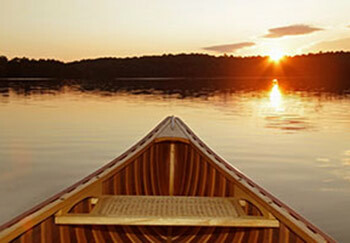 Your guide will paddle you and your loved one from sunset to moonlight in canoe. Dine on a delicious antipasto platter including such delicacies as cheeses, fruit, grilled vegetables, smoked trout, dessert as well as champagne and strawberries. All arranged and guided by on of the Lodge’s Professional and Registered Maine Guides who can identify wildlife, share canoeing history and point out star constellations. Enjoy an eagle’s eye view of nature’s splendor. There is no better way to view the Moosehead region than by air. A floatplane takes off and lands on the water. With an eagle’s eye view you can truly appreciate the spectacular scenery and vastness of this forty by twenty mile lake and surrounding mountains. Who knows, you might even see a moose! Make your reservation while at our Greenville, ME hotel – weather dependent. Consider a floatplane for a remote fishing expedition from the Lodge or a day of canoeing, lunch on the beach and flight back. You’ll fall in love with this historic transportation experience. Make you calendar for the International Seaplane Fly-in – the weekend after Labor Day in September every year. Peaceful excursion in unspoiled wilderness – The Moose Cruise leaves from the Birches Resort in Rockwood (about 25 minutes from the Lodge) at 7:00 am or 4:00 pm each day. 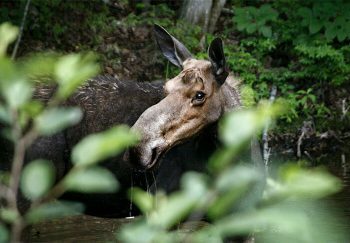 The ride includes a boating excursion on Moosehead Lake into a river that meanders into a wildlife sanctuary to view moose as they go about their daily routine. A minimum of 6 must be registered before the cruise embarks. The pontoon boat will hold up to 20. The cruise lasts about 2 hours. $35/person for morning and $45/person for afternoon. Challenge the rugged North woods terrain when you get out and explore the backcountry of the Moosehead Lake Region! The North woods is the largest undeveloped forest in the northeast. 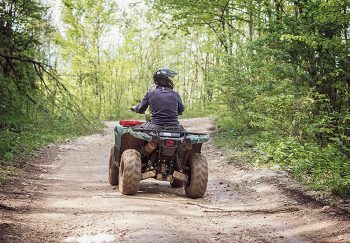 Maine ATV trails provide hundreds of miles of open terrain, incredible scenery and awesome riding for all skill sets. For the best experience, hire a guide to find those secret spots. All riders should wear long pants, durable foot-ware, and long sleeve shirts. Rates are based on single or double machines, ½ or full day tours. Private or small group trips are available. Damage deposits are required. ATV trails close November 15th each year. Discovering the waterways! 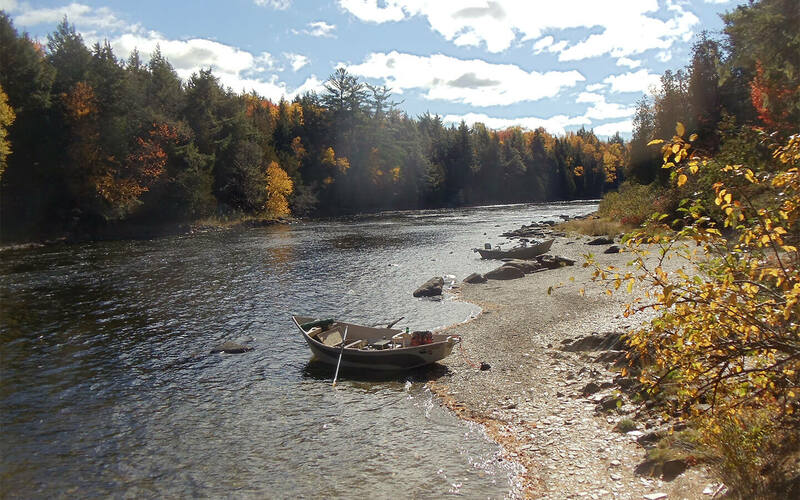 Of all the rivers to explore, the West Outlet on Moosehead Lake is one of the best. This is a great river for a relaxing paddle. The waterway consists of scenic ponds, quick water and class 1 white water (the lowest level). Along the shore you are also sure to spot nesting bald eagles, scampering beavers or otters, and even loons calling; you may encounter a mighty moose feeding on underwater vegetation. For the fisherman, this trip offers some of the best bass and trout fishing in the region. It is not unusual to catch smallmouth bass in the 3-5 pound range or trout up to 14 inches, so be sure to bring your fishing rod. Canoes and kayaks can be rented at numerous locations in the area at $25 to $40 dollars a day. 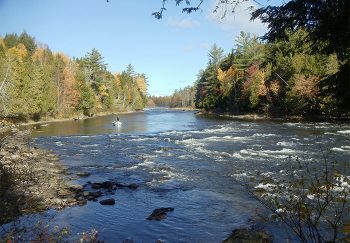 Being accompanied by a Registered Maine Guide is another option for canoe trips. Follow in the footsteps of Thoreau and Chief Kineo himself! In the summer you can catch the hourly shuttle boat from Rockwood (about 25 minutes from the Lodge) to Mount Kineo. Kineo was a world class resort frequented by the wealthiest families in America from the late 1800’s through the 1940’s while also being a sacred Indian grounds. Not much remains in the way of physical structure, however, the wonderful trail which is good for mountain biking around the peninsula and two trails (Indian & Bridle) are still well maintained taking 2.5 to 1.5 hours respectively. Be sure to climb the fire tower for a 360° view of the entire Moosehead area. Kineo also offers a protected pebble beach for your swimming and sunning enjoyment. Consider getting a lunch at the Lodge to take with you with 24 hour notice. We have full directions and maps at the Lodge. A cruise on Moosehead Lake turns back time. 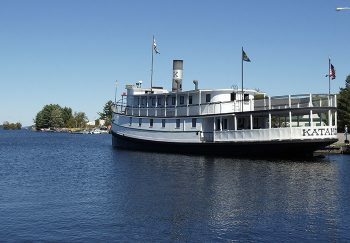 Experience a leisurely three hour cruise while listening to the history of the Moosehead Lake region. Built in 1914 by Bath Iron Works in Maine, the Katahdin has been designated a National Historic Landmark. 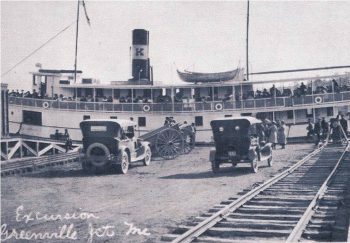 Originally steam-powered and used to tow booms of logs, she was converted to diesel in 1922. The cruise schedule runs from the end of June to the first of October, typically Tuesday through Saturday. 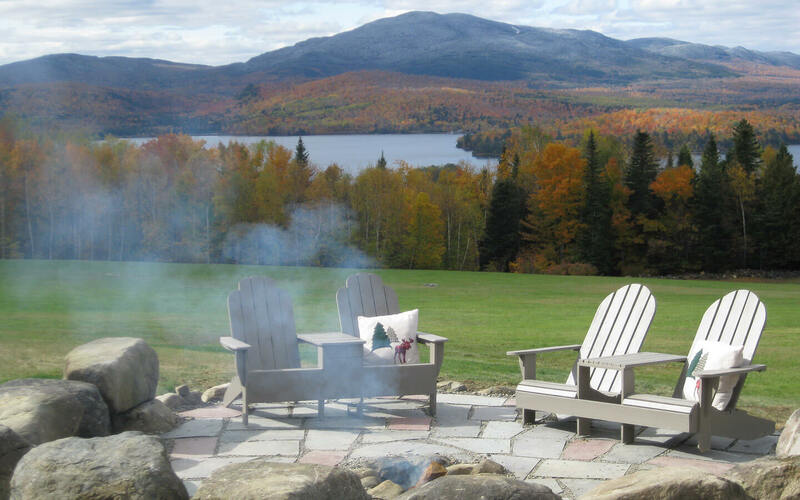 The Katahdin offers both indoor and outdoor seating. Accounts of Greenville lore document the history of Red Paint People from 3,000 to 6,000 years ago. The unique Mt. Kineo flint was sought after by Indian tribes that migrated through the area to use for arrowheads. The renowned naturalist, Henry David Thoreau, visited this area of Maine. One can also learn the logging industry of Maine, history of the luxury Mt. Kineo hotel and today’s tourism industry. The Moosehead Historical Museum offers tours from June through September on Wednesday through Friday from 1:00 – 4:00 pm. 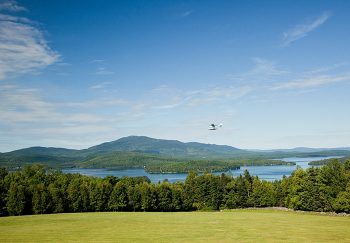 The rich and fascinating history is what makes the Moosehead Lake region truly unique. Many pictures of day’s long gone are displayed throughout the Lodge. Fishing for lake trout, salmon and smallmouth bass in the Moosehead region is a year around sport. From fly fishing, trolling or ice fishing, there is something here for everyone. The Lodge at Moosehead Lake has been recognized by Outside Magazine as one of the Top 100 Great Wilderness Lodges in North America and by Away.com as one of the World’s Top Adventure Lodge Resorts in 2009. 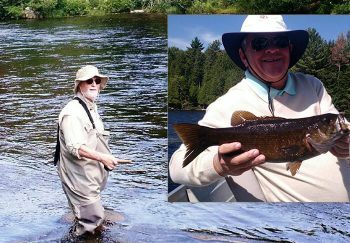 The Lodge offers guided fishing trips by our own Master Registered Maine Guide with over 35 years of experience. Each trip is customized based on your experience and expectations. A Maine Fishing License is required. Ask about fishing school, too (full day only). Full day trips for 1 to 2 people including lunch and equipment for $479. Forty or so hiking trails exist in the Moosehead area. You’ll find easy to challenging, and from 45 minutes to a full day hike. Experience some of the most spectacular hikes in the northeast including Gulf Hagas called the Grand Canyon of Maine. The Lodge Hiking Guide has been refined through countless trips by our lodging guests; you’ll find it in your inn room. The Appalachian Trail passes southeast of Greenville to reach its grand finale at Mt. Katahdin. Enjoy the exercise, the breathtaking scenery and even a jump in a waterfall to cool off. Let the Lodge fix you a picnic lunch for 2…just give us 24 hour notice and rent a guide for the day that will help you experience hiking as a true naturalist. 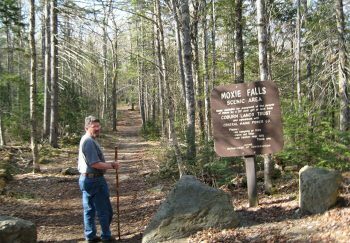 Watch a video to learn more about hiking in Maine! Identify more than 415 species in Maine. Bird watching is the largest spectator sport in America. Maine offers birds a diversity of habitat that supports a very large bird population. If you are a birding enthusiast, you may be interested in the Loon Room with many books on our feathered friends. Visit nearby Borestone Mountain owned by the Maine Audubon Society. Let us know you are here to bird watch and we’ll provide you a pocket guide. You will love the amazing views from the comfort of your car. 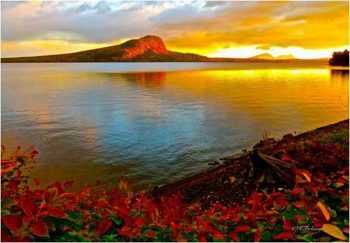 The Moosehead Lake region is full of amazing views and natural beauty. But in the autumn, the views are spectacular. Diminishing daylight and falling temperatures induce trees to present a spectacular color show in brilliant shades of yellow, orange and red. Typically our best viewing is late September and early October. We have collected five scenic loops for those traveling by automobile that will dazzle the most avid leaf-peeper. They are readily kept in your guest services book in each inn room. It includes 210 miles of beauty.